I've noticed a lot of members from Ohio. Although I live in California, my home state is Ohio. Born in Toledo (Perrysburg), hometown is Columbus. A product of Westerville public schools. Lived in Amish country in NE Ohio for many years also. Maybe so many former smokers from Ohio because it was acceptable ? Maybe because the winters could be long, cold, and oh so gray? Maybe because cigarettes were cheap to buy at one time? Ohio does grow tobacco but not close to the level as the other big tobacco growing states. Anyone else notice this correlation with smoking and Ohio? Oh ....and go Bucks, Go Tribe, Go Cavs! Born, raised and lived in Columbus all my life. Came of age in the 60's and 70's. I did not know a single person who did not smoke until I went to college in 1975, and then, only a very few. When I began my career in 1980 with a large bank at their headquarters, I don't think there was a single employee who didn't smoke. Posamari I was born in Toledo too...I think my family lived there for a few months afterwards. My father was stationed at Rossford AirForce Base. We moved around a LOT. Im not from Ohio. I lived in Michigan all my life. Married a man who resided in Ohio. So became an implant, in Ohio. ( About 9 yrs. ago). I think Mandolinrain and Deena-A.-Yenni are from Ohio also. Forgive me - I cannot think of everyone at once. But there are more from Ohio. We are Notre Dame fans and Ohio State fans...Cavs and Indians...not so much Browns. Gave up after Sipe left back n the 80's. Team recovered a little with Bernie, but fell apart and can't seem to get it together again. Kinda like Humpty Dumpty, if you ask me, lol. There ARE a lot of people from OHIO on EX-------also from Florida. Just shows they are smart to quit!!!!! Don't think Ohio has more smokers........can't beat NEPA for smokers (wish they were EXERS). Still amazed at how many people smoke here. This is "old Coal country" where old habits die hard (no pun intended). Posamari hmmmmmm....well, of course, no one ever notices their OWN accent! I wonder if they are thinking of a Philly accent (which we don't all have!). I actually lived in Jersey for many,many years----but I don't THINK I have a Jersey accent. Yeah, I live in Bedford--about 20 miles SE of Cleveland. Born and raised here and lived most of my life here. The hub and I lived in NYC for about 10 years and came back to be closer to our families. Growing up here, EVERYONE smoked. I honestly can't think of a non-smoker from when I was younger, but it may have been that way everywhere in the 70's & 80's. Born and raised in Cincinnati. Kentucky and Indiana are both within 15 minutes of my home. All used to be big tobacco growers but I don't really know how much tobacco growing goes on now. When I was a kid we would have big field parties where tobacco was being grown. I didn't grow up on a farm but there were lots of them. My family has all moved to Florida. I would be there also but my daughter and granddaughter live here. I can't leave them yet. Hey Hi congrats on your quit. Stick around EX the support really helps. I live in a suburb of Canton Oh, about an hour south of Cleveland. Ohio has always been noted as a heavy smoking population. It has gone down but still needs improvement. Pops w / 23 DOF! I love Ohio, especially Lake Erie. We try to rent a cottage every summer or every other summer at Geneva on the Lake. 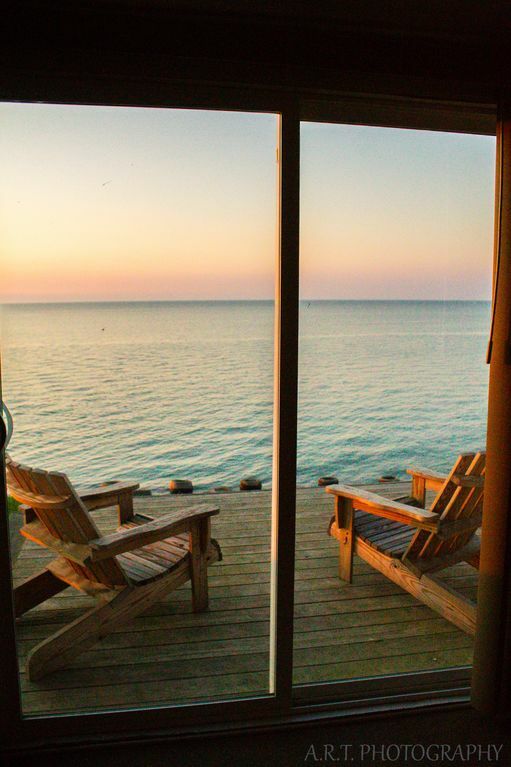 The one we've staying at most frequently is right on the water--the living room sliding glass door looks right out on the lake. It is so peaceful and relaxing. Yeah, it is. This is the place, it's awesome. missellen That is GORGEOUS! I love being near the water, whether it's the ocean or a lake...although the ocean does have some really enticing waves. This looks SO peaceful! I grew up across the river from Belpre, Ohio in Parkersburg, West Virginia. I miss Ohio, especially this time of year, Spring. The flowering Crab Apple and other flowering trees, lilacs, etc. I do not miss the winters tho. Before I moved to west coast, I lived for 16 yrs south of Cleveland in Wooster. Amish country about halfway between Akron/Canton and Mansfield. Was employed by the school district and raised my daughter's there. Was a great place to raise children, although they were born in College Station, Tx. Ellen, I too moved around a lot--- probably too much as a child. I'm very familiar with Rossford, across the Maumee River. My oldest daughter graduated from Otterbein College in Westerville/Columbus. She now lives in Baltimore, MD near some other Exers homes. My ex husband is on the faculty of OSU. Lots of Ohio ties still for me. Yes..Toledo scales and glass. I had relatives that worked for Libby Corning I believe it was called. My mom was a secretary for one of the cereal companies, General Foods or General Mills, one of those. We moved from Perrysburg/Toledo when I was 6 to a small town called Tiffin. Was only there a few yrs then moved to Westerville/Columbus. Haven't been back to Ohio since I buried my mom in Columbus, 4 yrs ago. She died from smoking related issues--- a stroke and had COPD. I need to make a visit. My sister, a brother, countless cousins all live in Ohio. I love California, has always been my second home before I decided to move here but all this talk about Ohio stuff is really making me homesick. Yes! Growing up in Ohio, seemed every one I knew smoked. My parents, grandparents, aunts, uncles, neighbors...lol...yep pretty much everyone I knew. Heck back then I was probably introduced to smoking in utero! Didn't have a chance to remain smoke free, it was everywhere. The high school even had a smoking section for students. Can you believe it??!! You can find more people from OH by visiting the directory, seems to be quite a few by selecting the various people in the filter dropdown. And possibly Ohio Quitters has some too. General search surfaces some Ohio as well. Sounds like a local get together in the making.